Boolean search strings should be very long and complex to work well. There are top 5 (or 10 or 20) Boolean search strings that gurus know of. I would do great if I could find out what those strings are! If I have access to Boolean strings templates all I have to do is add keywords, and the search is done. To search for email addresses all you do is put *@company.com into Google, and you find them. Boolean search will soon be completely replaced by semantic search. 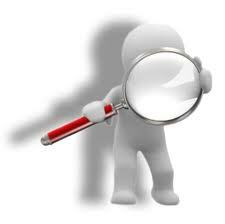 Metasearch engines obviously search better than individual search engines – they look into multiple sources. Sometimes the Yahoo search engine will find results that neither Google nor Bing can find. If I only had money for LinkedIn Recruiter, I would be able to find anybody with the given skills on LinkedIn. I need to choose between Twitter, LinkedIn, and Facebook, depending on which network works best. Internet Sourcing is incredibly hard. Until I am done studying all the materials and sites I can’t even begin sourcing. Can you throw some light on your 4th point? What are other ways to search an email? Hi Sarang – Google ignores @ as a special symbol so that search is not efficient at all. OK – I got the logic. However, when I run the search with “*capgemini.com” and “*@capgemini.com” the later gives me more relevant results than first one. Why is that? Try searching for “*?capgemini.com” and see what happens. You will notice that the symbol @ doesn’t affect what is displayed. Also compare with “**capgemini.com”. (In order for us to accurately compare how search strings work, the strings need to produce less than 1,000 results, so adding extra keywords to narrow down the result list helps.) Searching for “email * * Capgemini.com” gives more relevant results, though, of course, many would be missing. One more internet sourcing myth? #11. Once corporate HR people know how to do Boolean, there will be no need for 3rd party recruiters.